Any new parent will tell you that bathtime is sacred. You stare in wonderment at the tiny naked being you’ve created while simultaneously trying not to drop/drown them – it’s both the most magical and terrifying time of the first six months. So worrying about which baby products are safe to use is one headache you could really do without. Add in the fact that kids’ toiletries are not cheap, along with the avalanche of other expenses you’ll be incurring (18 flat whites a week for starters), and it’s nice to know from the off what is and what isn’t worth investing in. 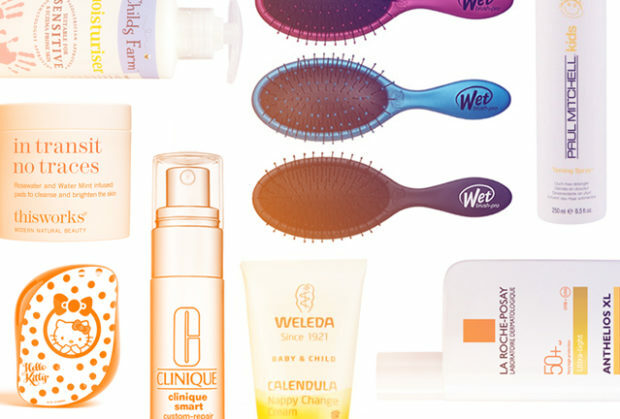 As purveyors of all things bathroom-based and with access to a mind boggling array of brands, I decided to ask a few of my fellow Beauty Editor mums for their top tried and tested finds for tiny folk, now I’m the proud owner of one myself that is. You’ll also find a few time-savvy beauty essentials in there for mums too because, well, the babies can’t have all the fun can they? 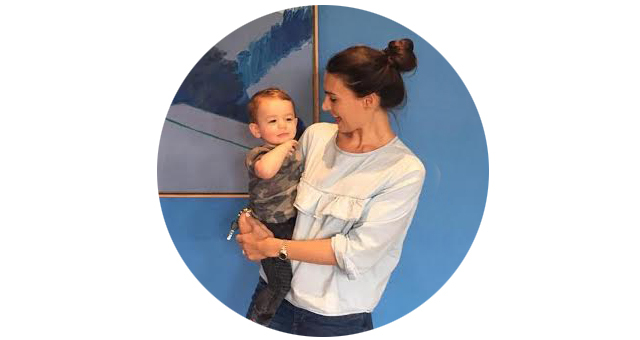 Samantha Silver is Beauty Editor and co-founder of thisismothership.com and mum to Leo, 1 (in her spare time she’s also the Beauty Director of Stylist magazine, as you do). No beauty editor will ever tell you to use a face wipe (they just drag dirt around your face rather than actually remove it). These are different. A tub full of super-soft face pads soaked in gentle rosewater, just one will remove an entire face of make-up and leave skin feeling fresh, like you’ve had a mini facial. It’s lovely and natural (enough to fill any new mum with confidence), spreads easily and a tiny blob goes a long way. But best of all it clears up even the angriest of nappy rashes. Stock up. I’d never questioned the logistics of my products before having a baby but when you have hand restraining a wriggly little squirmer fresh from the bath from diving off the changing table, this sturdy pump is a godsend. Requiring only one hand to pump and apply to little limbs it’s fast absorbing so you can pop PJs on almost instantly. I often steal a squirt for my hands while I’m at it. Grace Timothy is a beauty and lifestyle writer, published in Vogue, Glamour, Sunday Times Style and Red. 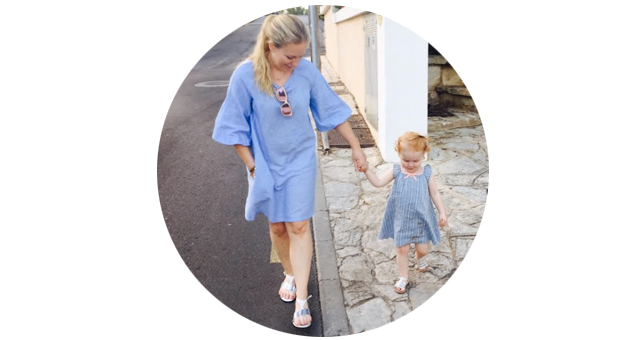 She also shares myth-busting tips and tricks for mums at mum-face.com and vlogs short beauty tutorials on the MUMFACE YouTube channel. Grace is mum to Noémie, 4. 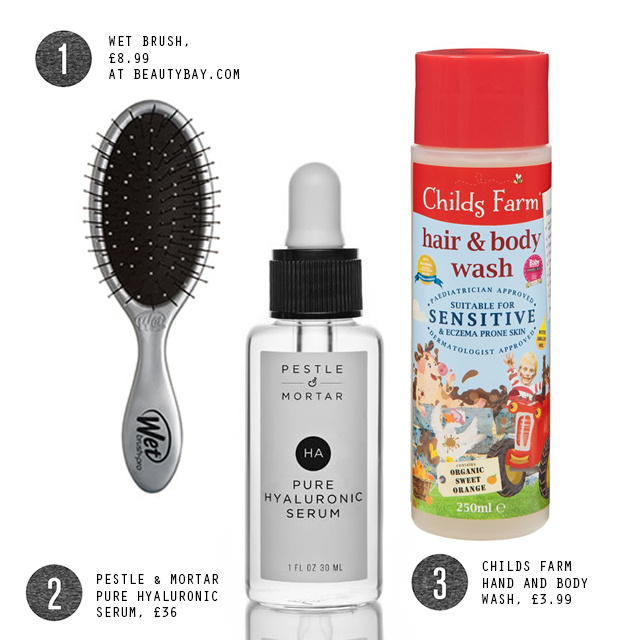 My daughter has very long, very curly hair and this is a brilliant detangler for wet hair. No pulling, no breakage and the long handle makes the whole thing less fiddly than smaller brushes. Whether it’s not remembering to drink enough water, not getting enough sleep or rushing my morning routine, I’ve been far more neglectful of my skin since having my daughter, and this has done so much to hide that fact. This is such an affordable yet skin-kind product for washing. We didn’t use a thing but water for about 6 months but weaning warranted something stronger! 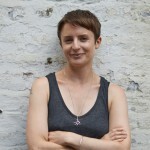 Sarah-Jane Corfield-Smith is a freelance beauty editor who has written for Stylist, The Times, The Telegraph (online), Mother & Baby and currently edits hair website layeredonline.com. 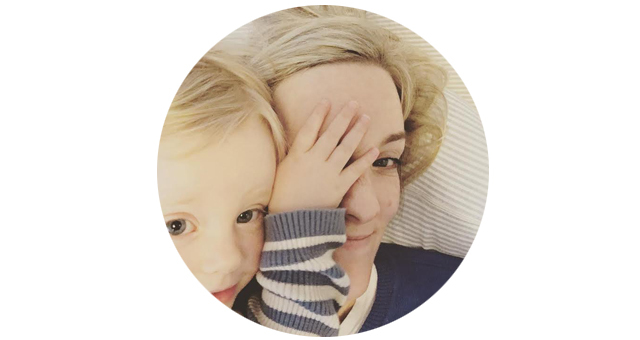 When she’s not writing about beauty products she’s still figuring out motherhood with her 2 year-old, Tilly. Tilly’s arsenal of products is a sight to behold. She’s got them pouring out of her bathroom cabinet (yes, she has her own bathroom cabinet). But for the sake of space, I’m limiting it to a couple that I use on her day in, day out starting with Paul Mitchell Kids Ouch Free Detangling Spray. When she wakes up in the morning she looks like a banshee and her hair (being very fine and fluffy) is very tangled. This sprayed through and brushed out with her new Hello Kitty Tangle Teezer and her hair pings into gorgeous ringlets almost immediately. I don’t have the time I used to have to dedicate to my skincare so I need products that I can rely on and that tick lots of skincare boxes in one go. Every day I slather on Clinique Smart Custom Serum, this is a very clever serum indeed. It combats pigmentation, fine lines, evens out skin tone – all in one go. Being blessed with red hair and whiter than white skin, Tilly is never without La Roche Posay Anthelios SPF50. 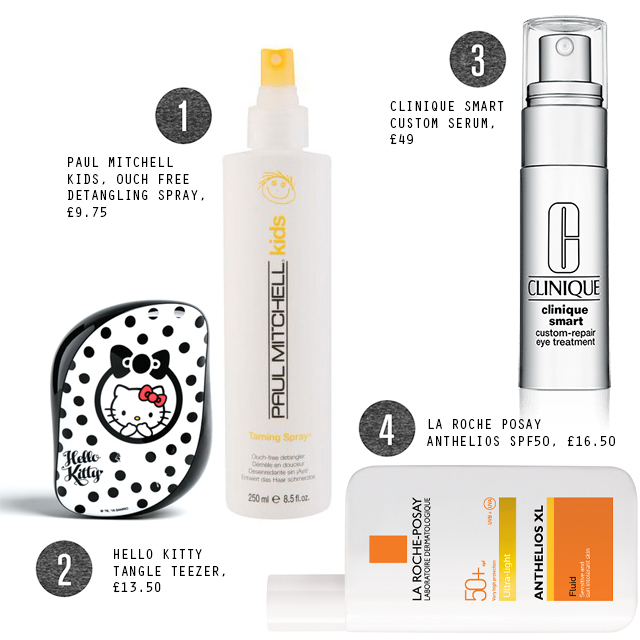 Their SPFs are a perennial favourite with all beauty editors. HACKY MONDAYS – CLEAR UP GLASS WITH BREAD?! Bella Binns is a freelance beauty editor. In 13 years writing for magazines and brands, she’s sampled more massages (and worn more paper knickers) than you can imagine. It’s a tough gig… ‘Clean’ beauty, eastern wellness rituals and cropped coifs make her tick, she’s also a qualified yoga instructor.